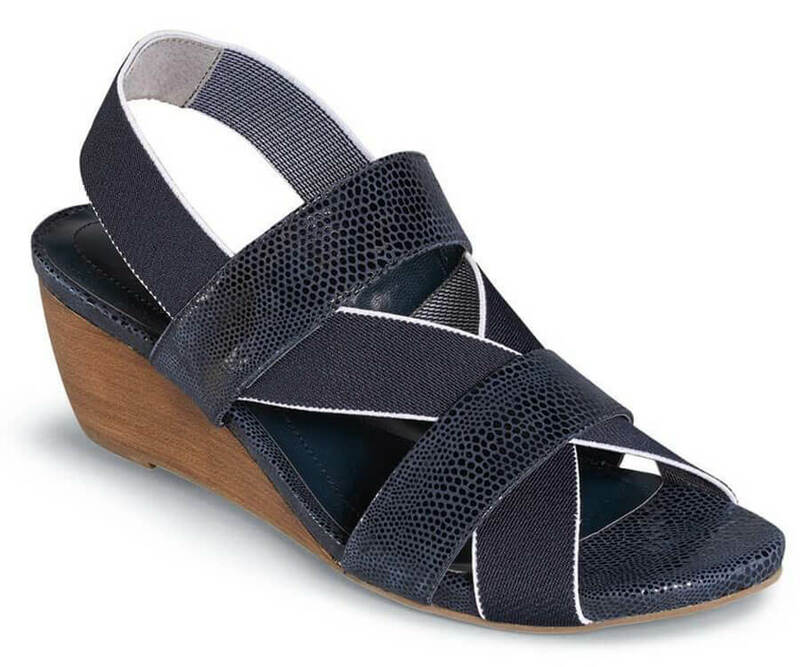 It’s all about the stretch of the elastic straps of Ros Hommerson’s “Wynona” sandal, which cross over the instep and snug up at the heel for as comfortable and secure a fit as you can find in a two-inch wedge. The navy upper has faux reptile leather detailing. 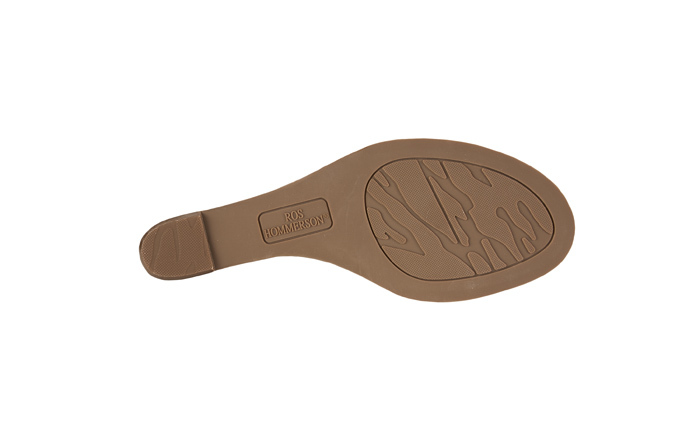 The insole is padded with a deep layer of cushioning Memory Foam. Originally $99.95. Limited stock in women’s 2E width in sizes indicated.